So, I have to tell you all that I did not end up going to the Grammy's after party. I know, I know, you are disappointed in me. I understand. Maybe I should have gone. But I felt it was going to be too much to travel down there, come back on a Monday and have to leave to go back down on Friday. That would have put us at 16 hours worth of driving time, with a 2 year old and a 4 year old. Too much. I had a back up plan in place to bring you guys all the juicy insider details of a party like that. My sister, Natalia, was going to go for me and then do a guest blog about it. But then life happened. She came down with the flu. And so here we are, well into the weekday again and I have no glamorous stories to tell. I hope I haven't let you down too much. I guess will have to come up with some crazy mom story to tell you instead, just to keep the drama alive. UPDATE: I just got an email from one of the PR people who arranged the event. Wanna know who was there? Tara Reid, the Situation (Jersey Shore), Pauly D, James and Oliver Phelps (Weasley twins from Harry Potter). And THEN, Kanye West, P Diddy, and Justin Bieber tried to get in around 3am but the cops wouldn't let anyone else up the hill to the mansion!! So many famous names!!! and I don't know any of them, not even by name! You could have partied with Tara Reid? And the Weasley's? Any you missed it? This past week was my son PJ's first birthday. In the interest of the public good, I am posting the party details so that if some hapless parent comes along and needs easy ideas for a Little Prince theme, they will stumble upon this blog and be able to use the ideas. I was that parent a couple weeks ago, and although I went on Pinterest and searched online I only found complex and fancy party ideas that were way out of my league in terms of both time and money. 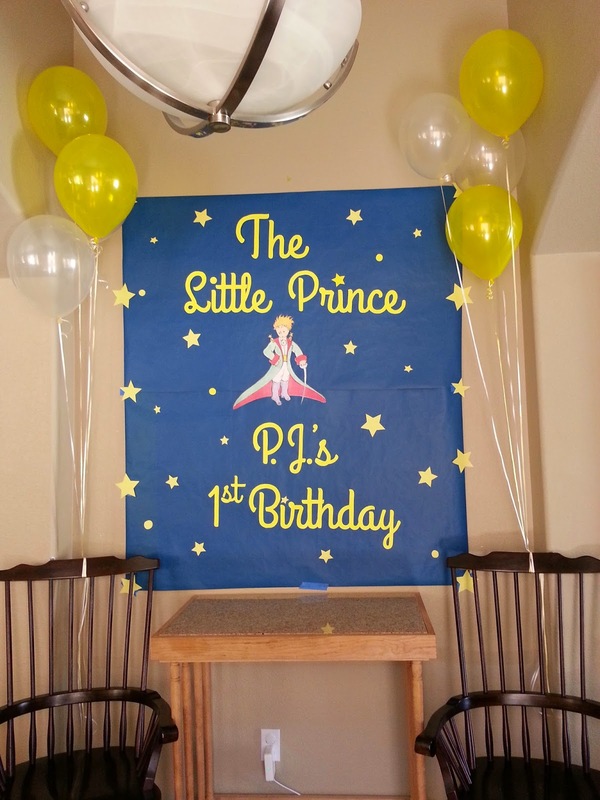 Here is the bare minimum Little Prince party ideas you can do without too much effort. You'll need a color printer, card stock, blue butcher paper, and a budget of about $50 (less if you have some of these supplies on hand). First, decorate an entry way or other staging area with a giant themed sign. Voila! 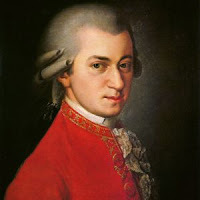 An open letter to Wolfgang Amadeus Mozart. I am your biggest fan. I love your music. I have often obsessed about the beauty of your compositions and have spent hours upon hours listening to your "voice". And if you weren't already in the afterlife I might be tempted to travel to Austria and follow you around until you give me a personal autograph and agree to snap a selfie with me that I can post to Instagram. That's not creepy at all, right? This weekend our Schola Cantorum at St. Bridget's here in Las Vegas sang your Ave Verum Corpus for the first time. We have some limitations - all our singers, ranging from age 11 to 17, are sopranos and altos. That means we are missing half of the music you composed (tenor and bass parts). We are really sorry about that. And no offense, Maestro, but we also do not have a pianist or organist to accompany us, so we sing everything acapella, including things that should be sung with accompaniment. I have been teaching my kids at home for over 4 years now, and there is just one thing I have to say about the whole situation. Homeschooling is hard. Well ok, maybe that's just the first thing I wanted to say. Actually, I have a lot more to say about it. The fact is, I have learned a lot in this little adventure. Here are a few things I have learned in our personal homeschool journey. 1. Socialization is a non-issue. When I started this journey I was rather unsure if it was the right thing to do. Mainly because (everyone say it together now!) "What about socialization???" HAHAHA! Little did I realize back then how much of a non-issue socializing a homeschooler actually is in this day and age. I didn't know that I was going to have to STOP attending social events and play dates and all kinds of outings just so I could do what I first intended - schooling at home. 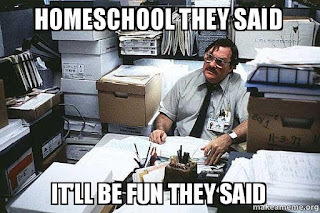 Because to homeschool, you do have to actually be at home. Go fig. Ding Dong, the Kid is in Bed!